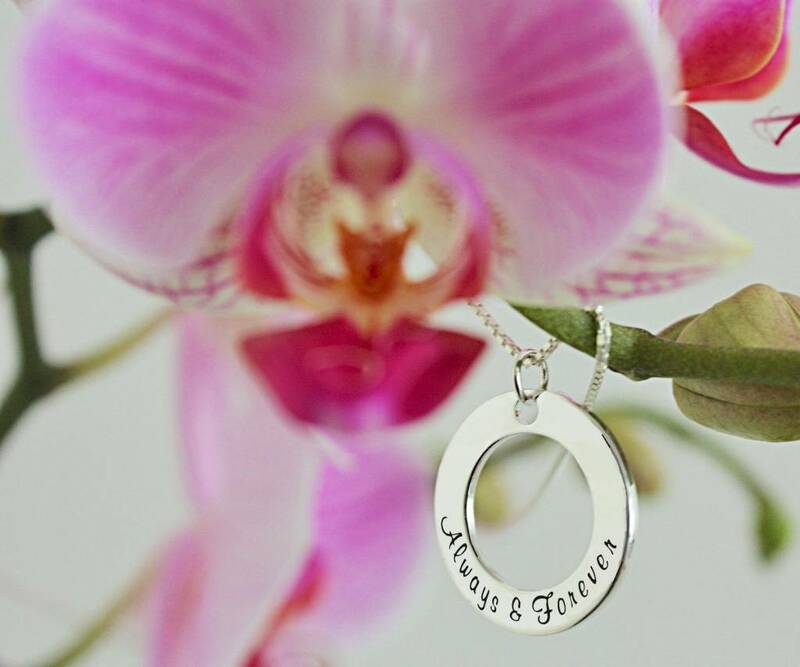 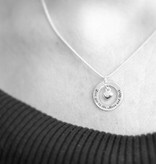 Two Sterling Silver Washer Pendants from Kaya's 'Words of Love' collection. 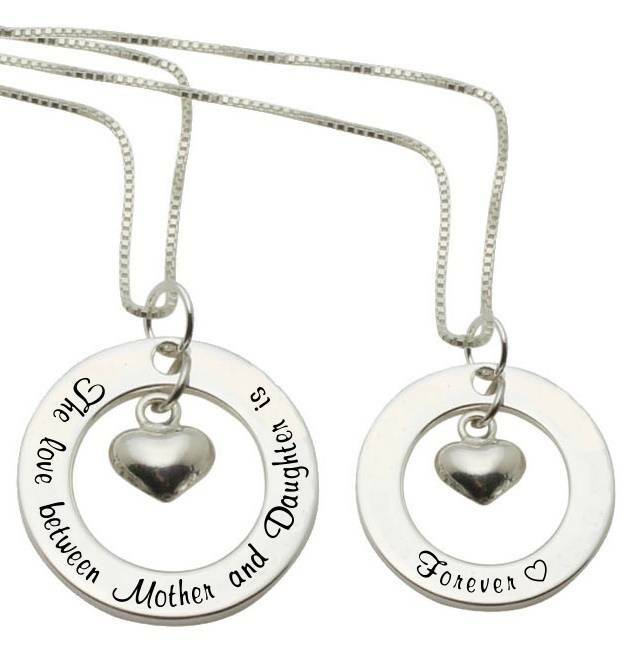 Gorgeous gift for mum & daughter! 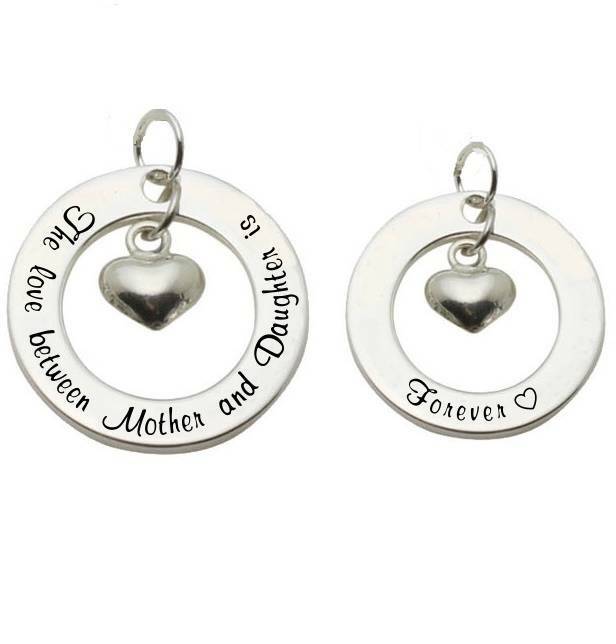 The text for mother: The love between Mother and Daughter is , carefully engraved in the 22mm round real silver washer. 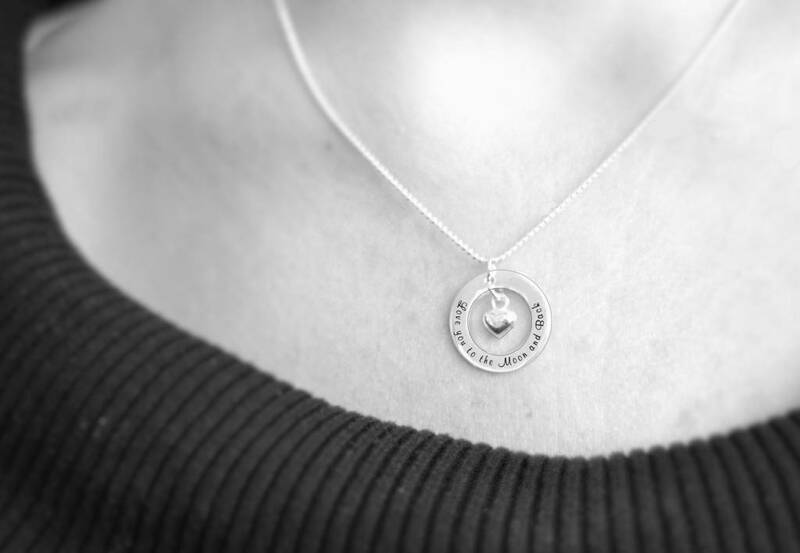 The text for daughter is Forever ♡, engraved in a 19mm washer. Both pendants have a small heart charm in the middle, how cute! 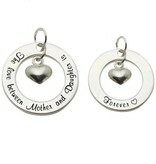 This set does not include the silver chains, you can choose these optionally in the menu. 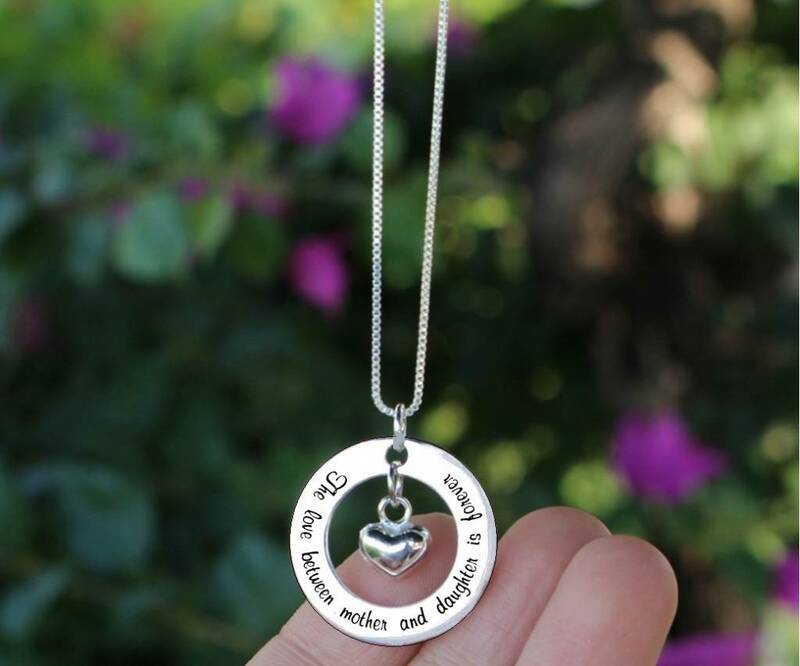 ♥ The pendant and chain are made of real .925 Sterling Silver. 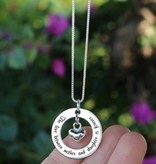 ♥ Optional: add a chain of your choice in the optional menu. 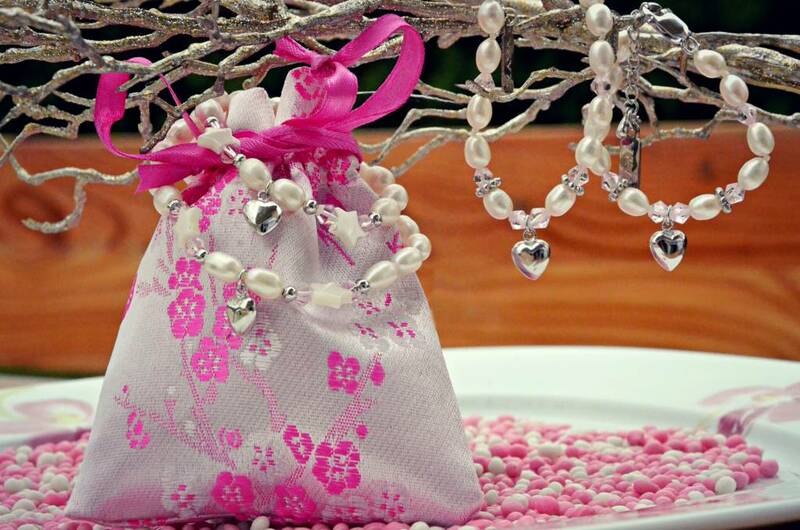 We will assemble them together and wrap them nicely. 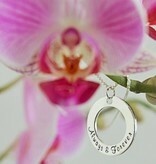 Both chain and charm are made of Sterling Silver. 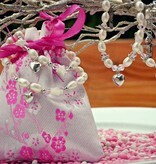 ♥ We gift wrap our jewellery in 2 luxury Pink satin drawstring gift pouches with 2 cards for your message. 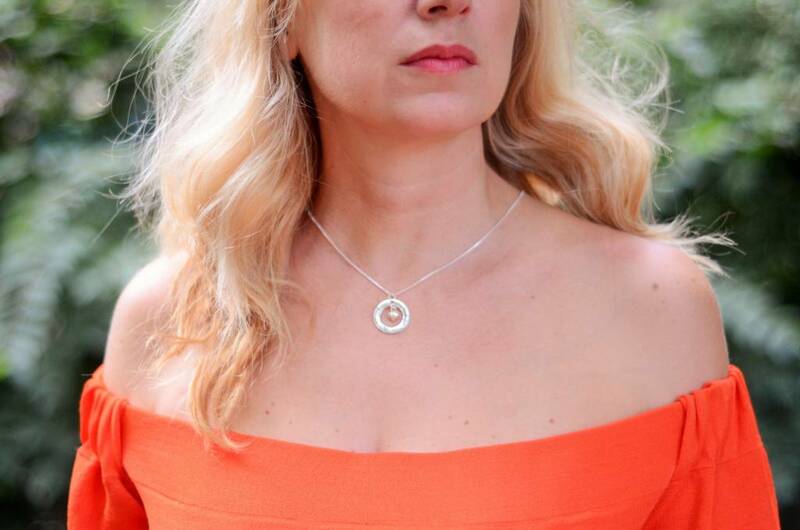 Ready to present!